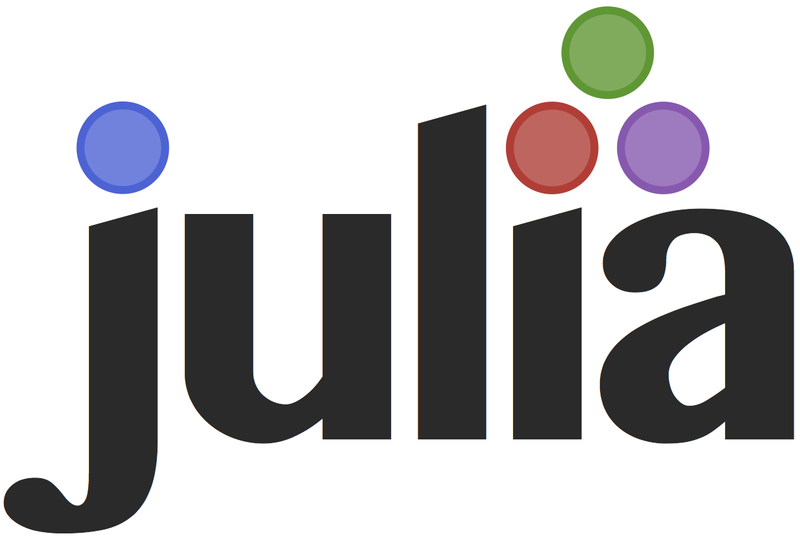 Over the past few months, I’ve been exploring Julia, a new open-source programming language that’s been gaining traction in the technical computing community. For the uninitiated, Julia aims to solve the “two-language problem”—having to code in a high-level language (e.g., Python/Matlab) for prototyping and a low-level language (e.g., C/C++) for speed. I found Julia easy to pick up—it’s syntactically similar to MATLAB with some important differences—and I’ve enjoyed writing a few small tools. Admittedly, I did encounter a few problems along the way. For example, initial installation and setup was a breeze, but I had trouble getting IJulia and Gadfly to play nice. Jiahao kindly helped me resolve this problem; as a tip, installing Anaconda’s Python distribution helps avoid many issues. Although native julia packages are being built rapidly, I’ve found quality to be mixed. When I needed a mature library, it was easy to make calls to C and Python, but that’s an additional step and dependency. There are a few additional quirks with regard to package imports and function replacement (something I haven’t quite gotten down yet) and garbage collection, which can take significant CPU time if you aren’t careful. An additional thing to note is that Julia uses a just-in-time (JIT) compiler so, first time runs are typically slower. All-in-all, I believe Julia is at the point where, personally, the pros outweigh the cons, and I’m starting to port over some of my older code. If you haven’t yet tried Julia, I highly recommend giving it a go. But like learning anything new, expect to be a little confused at times and regularly consulting the Julia documentation. Oh, and the helpful and growing Julia community.